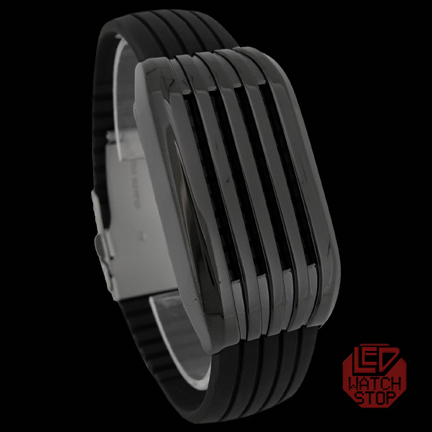 The L.E.D.s quite large making them really bright and super easy to see. 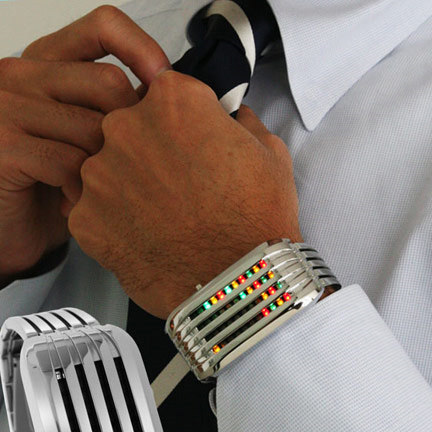 This watch is equipped with a light up function that starts at 6 pm and goes on to 1 am every minute. 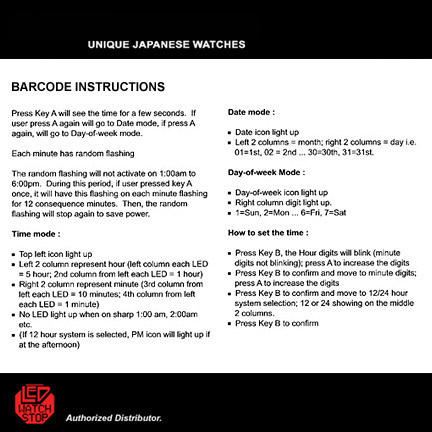 The light up function is also activated when the time button is pressed during 1 am to 6 pm for 12 minutes after. 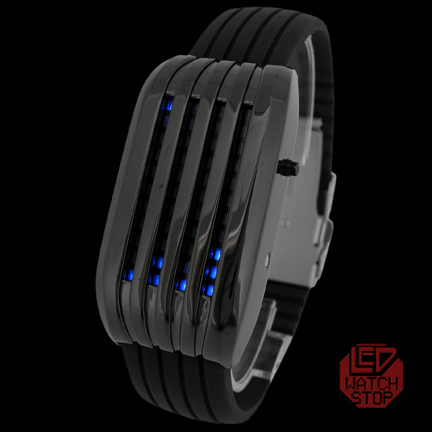 The watch runs on 2 Lithium batteries that are easy to change. 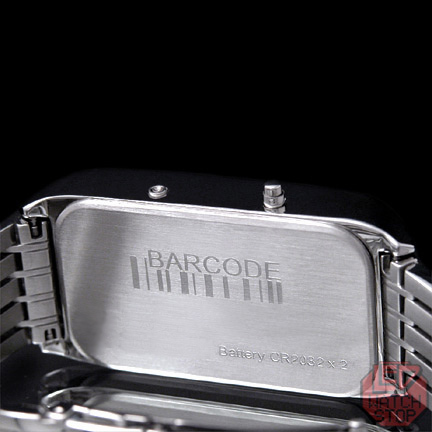 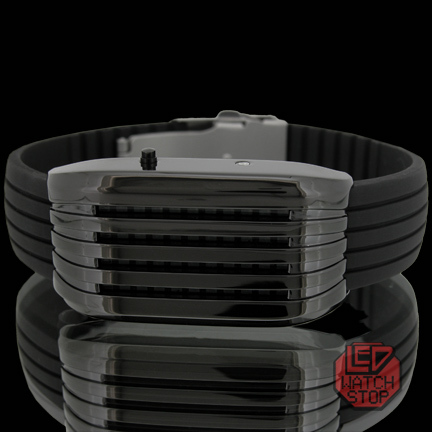 The strap is made from black silicon that was custom designed specifically for the watch.